Is it 10%? Maybe it’s 27%. Or even better - is it 40%? No, it’s not your chances of leaving early this Friday; I’m referring to your productivity increase as a result of completed training or certification. Clients who’ve invested in training their employees are reporting an increase in productivity as high as 40%. Think about that: that translates to 16 hours a week! We can all agree that improved design quality, reduced design time, and higher profitability are the desired outcomes. But also consider this; it’s been recognized that improved productivity and design confidence has increased the percentage of employees who find their job enjoyable. I know personally that once I’ve finished a training exercise, I’m pretty pumped to start my next project and to gage the outcome. By completing training in either SolidWorks or Altium, you’re then eligible to become certified. Not only does it allow you bragging rights and extra letters after your name, but looks pretty impressive and credible on your resume. Want to learn your number? Visit our training calendar to register for upcoming courses, webinars or live event. Check in with us often! 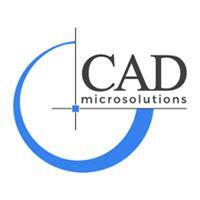 SolidWorks offers promotions on training regularly and we are happy to pass them onto you. Share your number with us! Comment below; we’d love to hear from you.